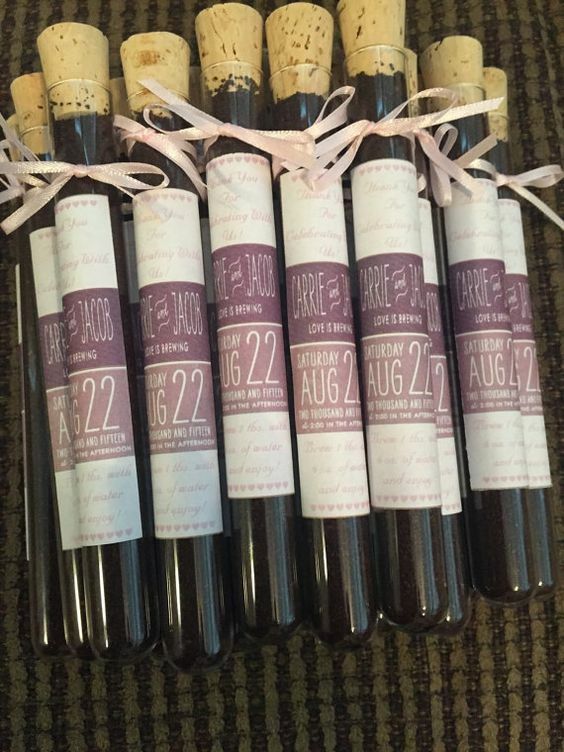 What to give to your wedding guests as a gift? I know I gave myself a hard time for my own wedding, thinking about what could serve as a long-lasting memory for our guests. I was lacking ideas and I did not want to have custom made skittles. In the end, I came back to the root of inspiration for my wedding: trees. We packed a handful of seeds in little envelopes and gave them away to every guest. Months afterwards, we received photos of the growing trees, from all around the world! I can't help but to feel connected somehow to all "Malinche" trees ever since. Seeds aside, I understand how hard it can be to find unique ideas to "impress" your guests that they haven't seen at other weddings. I have been thinking about this quite a lot lately since some of my brides and grooms asked me if I had some unique ideas. I came across an article today called "Buzz worthy wedding ideas for coffee lovers" - and it inspired me to write this blogpost; as many of you probably know, my husband and I recently opened our very own specialty coffee roastery in Rheineck. It had never occurred to me however, how weddings and coffee could be related to each other. Now we have the coffee-resources, so why not? If you and your fiancé are coffee lovers, take a look at these unique ideas of how to incorporate coffee to your wedding: your own packed coffee, stamped with your own initials! or your very own "coffee sleeves", a selection of coffees for your guests to sample! We have truly unique self-roasted coffee selection at Maillardos, if you would like to know more about how to create your own labeled coffee using one of our coffees, we want to invite you for a degustation. I'm sure you will find something new and delicious. Soon enough your guests could be brewing the "Wedding-blend" at home! Take a look! *Not my photos/design, credits below.